Al Boum Photo gave trainer Willie Mullins his first victory in the Magners Cheltenham Gold Cup following a dramatic race for the showpiece event at the Prestbury Park course. 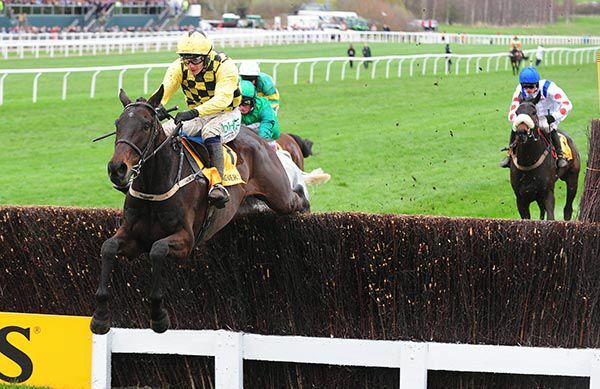 Minella Indo put up a remarkable display to win the Albert Bartlett Novices’ Hurdle at 50-1 as Rachael Blackmore followed Bryony Frost into the record books with a Grade One winner over obstacles at the Cheltenham Festival. Pentland Hills caused a 20-1 shock in the JCB Triumph Hurdle at the Cheltenham Festival for Nicky Henderson and Nico de Boinville. Croco Bay rolled back the years as the veteran caused a 66-1 upset in the Johnny Henderson Grand Annual Challenge Cup Handicap Chase at the Cheltenham Festival. Dan Skelton won the Randox Health County Handicap Hurdle for the third time in four years as Ch’tibello powered clear up the Cheltenham hill.